Ramona J. Pettit, 100, Kokomo, passed away at 4:45 am Tuesday November 6, 2018, at Primrose of Kokomo. 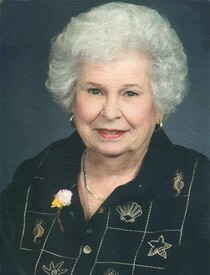 She was born October 16, 1918, in Carroll County, the daughter of the late Guy & Emma Ruth (Huddelston) Leap. On July 2, 1938, she married Don Pettit who preceded her in death on July 15, 1988. Ramona was a 1935 graduate of Kokomo High School. She worked for Howard County Clerk Cliff Lineback in the clerk’s office for 20 years, and then for Delco Electronics for 10 years. She was also the Majestic Park Mobile Home Secretary/Activity director for 20 years in Seminole, Florida. Ramona was a member of First Christian Church in Kokomo, and attended Chapel on the Hill Church in Florida. She was a former member of the Eastern Star in Kokomo. Ramona was a seamstress, loved to sew, and play Bingo. Ramona is survived by her daughter, Sara J. Baird, Kokomo; grandchildren, Scot (Lisa) Baird, Mark (Julie) Baird, Melinda (Keith) Conaway, Susan (Mike) Gabriel, Terri (Dennis) Davis, Kelly (Donna) Pettit, and Dion Hinders; great-grandchildren, Andrew (Steph) Baird, Erin York, Kaylee Baird, Haleigh Conaway, Caroline Conaway, Zack Gabriel, Chaz Gabriel, Addy Gabriel, Jordan Davis, Kory Davis, and Bailee Davis, along with 3 great-great-grandchildren. Ramona was preceded in death by her parents; husband, and son, David Pettit. Funeral services will be held at 2:00 pm Friday, November 9, 2018, at First Christian Church, 854 North 300 West, Kokomo, with Pastor Morgan Young officiating. Entombment will follow in Sunset Memory Gardens. Friends are invited to visit with the family from 12-2 pm Friday at the church. Memorial contributions may be made in Ramona’s memory to the Kokomo Humane Society. Shirley & Stout Funeral Home & Crematory have been entrusted with arrangements. Messages of condolence may be left online at www.shirleyandstout.com.